Stan Lee was notable for his immense contributions in the world of arts. He is the brain behind most superhero movies like Spiderman, Fantastic Four, X-Men, Black Panther, and many others. Lee made Marvel Comics what it is today through his well thought comic and fictional stories which he successfully recreated into movies. 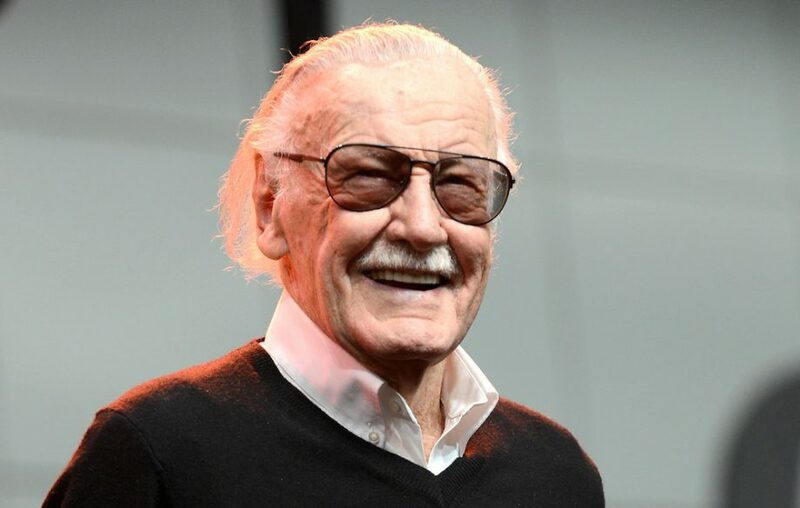 Stan Lee kept millennials and the older generation as well, entertained with a wide range of fictional characters, created in collaboration with other notable artists. There is so much to know about the comic-book writer, editor, film executive producer, actor, and publisher apart from his designation as Marvel Comics brain-box. Here are lesser known facts about the legend. He was born was born on December 28, 1922, to his parents Celia and Jack Lieber in New York. Growing up, he was inclined to heroic stories which he found very interesting to read and watch. His favorite actor at the time was Errol Flynn whenever he played heroic roles. Difficulties faced by his family during the Great Depression did not stop Lee from focusing on his interest. As a student at the DeWitt Clinton High School, Lee did small jobs like writing obituaries and press releases for organizations to sustain himself. Lee in 1938 became an assistant at the Timely Comics owned by Martin Goodman. The company would later be known as Marvel Comics. Lee who was a cousin to Goodman’s wife took up his tasks with grace and handled them competently. From insignificant jobs at the company, he soon made his debut with the dummy ‘Captain America Foils the Traitor’s Revenge’. It was quite impressive and drew the attention of stakeholders in the field. He went on to do more comics with real features impressing his bosses further. Stan Lee was soon made the interim editor of the company. He left the company in 1942 to join the army and returned again in 1950 and wrote several stories of different genres. By this time the company was called Atlas Comics. By the late 50s, Lee who wanted more explorations was becoming less satisfied with his job description. Also during that period, Atlas was in competition with DC Comics and Lee was asked to come up with a new superhero team to outshine DC Comics’ updated techniques. Lee then introduced naturalistic characters different from the cliched archetypes. They had tempers and real longlasting problems as against the previous perfect characters without problems or negative temperaments. Lee created the Fantastic Four superheroes in collaboration with Jack Kirby. They also worked on other projects such as ‘Iron Man’, ‘X-Men’, ‘Thor’, ‘Spider-Man’, ‘Doctor Strange’, and ‘Hulk’. In the early 70s, Lee wrote ‘The Amazing Spider-Man’ which portrayed the negative effects of drugs. Although the Comics Code Authority (CCA) was against the drug-themed story, it later permitted it following the critical acclaim the story received for its message. Lee soon became a prominent figure at Marvel Comics and was getting more appraisals from different stakeholders. In the 80s, he was made the president of the company, a position he later relinquished because he found it more technical and less creative. He, however, continued with his position as the publisher of the company. In 1998, Lee, together with Peter Paul, formed Stan-Lee Media an internet-based superhero creation and marketing studio. However, it was closed due to legal reasons. Lee in 2001 formed POW! (Purveyors of Wonder) Entertainment together with Gill Champion, and Arthur Lieberman. The company focused on developing film, television and video game properties. Stan Lee worked with Marvel for up to 65 years. He announced his YouTube channel ‘Stan Lee’s World of Heroes’ in 2012. He also introduced ‘God Woke’ a digital graphic novel in 2016. Stan Lee sits on an enviable net worth of $50 million, and according to analysis, this figure will continue to rise as the years go by. Lee has amassed great wealth over the years through his impeccable works which speak volumes. Lee lives as a traditional family man who upholds the value of marriage. The talented writer got married to his wife of almost 70 years, Joan Clayton Boocock in December 1947. Lee met Joan in 1947 while she was working as a hat model. The two fell in love and Lee proposed to her after 2 weeks of dating. They both decided to tie the knot that same year. The couple had two children, Joan Celia who was born in 1950 and Jan Lee, who was born in 1953. However, Jan died three days after birth. Joan who was also a voice actress lent her voice in some of Marvel Comics productions like Spider-Man and Fantastic Four in the 90s. 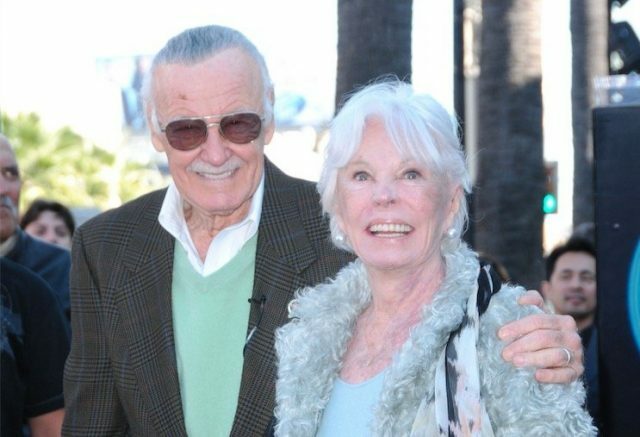 Lee’s wife died of complications from a stroke in 2017 at the age of 95. Following the death of his wife in 2017, questions about Lee’s own life were raised. Also in 2016, there had been a rumor that Stan Lee had died of some unknown causes. For a celebrity of his caliber, such death hoaxes are expected. However, he died on the 12th of November, 2018 from congestive heart failure.